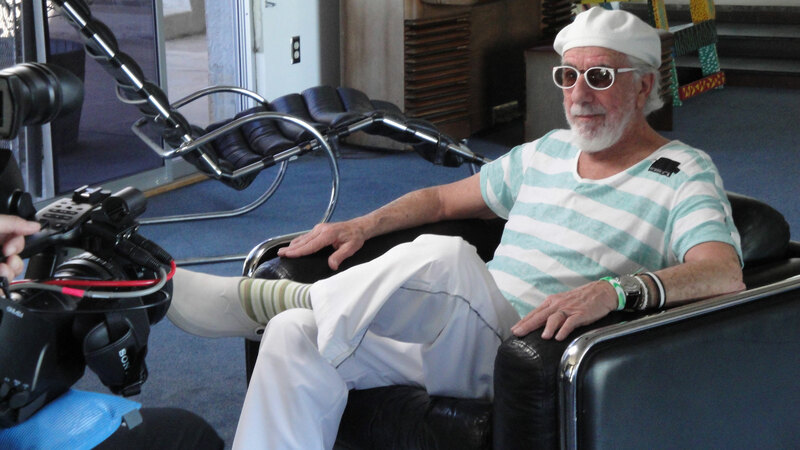 Music journalist and record producer Harvey Kubernik speaks with the legendary Lou Adler, record producer and founder of Ode Records. Harvey Kubernik: What was the general philosophy of your Ode Records label – probably the first boutique label? Lou Adler: The label philosophy that I’ve always had and the man that I most respected in the music business, as a label owner, was Archie Blyer. (Cadence Records). The epitome of independent labels at the time when there weren’t a lot of independent labels. With Blyer and Cadence, you had the Everly Brothers, the Cordettes, and Andy Williams. You didn’t have a label that released a certain kind of music. If the music was good it should be on your label. Ode was at the time maybe the most successful boutique label with Tapestry, Carole King, Cheech & Chong, the Tommy London Symphony album and Tom Scott. We didn’t put out a lot of product but what we put out was very special and not from only a critical standpoint but we sold a lot of records. And A&M was a perfect place to be. You’ve always been a song man. Going back to my early days with Sam Cooke and Bumps Blackwell, Sam’s producer, a man from Seattle who had worked with Quincy Jones when Quincy was 16 or 17. Bumps took us to school. He made us go through stacks of demos, made us break them down. “What was good about the first verse? The second verse? The bridge, and how do you come out of the bridge?” So, from the beginning I was a song man. That was very important to me. When I’m working with Carole on the songs from Tapestry, and she is playing me these songs, she is playing songs that are the best. From track to track, you don’t get a bad song. You might get one song that I would have had a problem with sequencing, but they’re solid songs even just with piano and voice. Carole King always cited Jerry Leiber and Mike Stoller as the songwriters she wanted to emulate. Tell me about your stint at Aldon Music in the very early 1960s that later in the decade became Screen Gems Music, who were the publishers of Carole’s songs on Tapestry? Lenny Waronker brought Randy Newman to meet me, and I gave Randy a stack of Carole King demos. I thought that was the best education that anybody who wanted to be a songwriter could have. I mean, at one point I said to Snuff Garrett, who was producing Bobby Vee, “I’ll let you hear this, but you’ve got to give me the demo back,” because they were keeping the demos. She also sang all the parts that eventually would show up on the follow-up records, the hits. Once a producer got a hold of her record, she pretty much laid out the arrangement. Both instrumentally and the vocal parts that would end up on the record. Her demos when I first started working for Aldon Music, the way that we worked, Donnie Kirshner, myself and Al Nevins, and the staff would find out what particular artist that had a hit was looking for follow ups. That assignment was then given to all the writers to go to their cubicles and knock out some songs. They were there from the beginning and actually wrote the song. History shows most of her hits, until she became a recording artist and wrote, “You’ve Got a Friend” and “So Far Away,” were with Gerry Goffin. They didn’t just write records, like in ’58 and ’59, for Fabian and Avalon. But they wrote songs first, and then wrote the record and showed how the song should be interpreted. Some thoughts about Gerry Goffin who co-wrote a few tunes on Tapestry. Gerry Goffin is one of the best lyricists in the last 50 years. He’s a storyteller, and his lyrics are emotional. “Natural Woman,” “Will You Still Love Me Tomorrow” both on Tapestry — these are perfect examples of situations, very romantic, almost moral statements. Coming out of the 1950s, with the type of bubble-gum music, and then in 1961, Gerry is writing about a girl who just might let a guy sleep with her and she wants to know, “is it just tonight or will you still love me tomorrow?” Goffin could write a female lyric. He could write the words to “Natural Woman,” that’s a woman speaking. Gerry put those words into Carole’s mouth. He was a chemist before he was a full time lyricist. He’s very intelligent and obviously emotional. What about Carole’s growth as a songwriter? Watching her writing her own lyrics as the principal lyricist, I saw her develop as a lyric writer. She was not confident as you can imagine then in writing lyrics, having worked with Gerry, as I’ve said, arguably one of the best lyricists over the last 50 years, maybe. But she gained her confidence within this Tapestry album and I think she had been writing a little bit, but really once we started on Tapestry she felt confident enough to complete those songs. We went by songs. The only thing we reached back for, which was calculated in a way, were which of the old Goffin and King songs that was a hit should be put on the album. And, that’s how we came up with “Will You Still Love Me Tomorrow.” I thought that song fit what the other songs were saying in Tapestry, a very personal lyric. Tapestry was such a partnership between Carole, myself, Hank Cicalo, the engineer, and the musicians, so it’s hard to say any one person suggested it, because we did it all together. Because it was really that kind of record. On Carole’s demos that lead to the sound on Tapestry she put in all the parts — her piano out front, and the bass drums, maybe a guitar. Within her piano you could hear a string part, or hear another background part, and she did the background parts. After the City album and Writer, Carole began writing for herself. Talk to me about Carole King in 1970, before her Writer debut solo L.P. on your Ode Records label and just before Tapestry began. The climate of the late ‘60s had no women in the Top Ten charts, except Julie Andrews on The Sound Of Music soundtrack. Before the Monterey International Pop Festival in 1967, I flew to New York and tried to sign Laura Nyro. I invited her to perform at the festival. Carole was in a group the City, who I produced for Ode in 1968. The L.P. was called Now That Everything’s Been Said. The City album was supposed to be a group, even though it sounds a little like Tapestry — not so much in the subtleties, but in the way that group plays off of each other. At the time Carole did not want to be a solo artist. She wanted to be in a group and she was more comfortable in a group. She didn’t want to tour that much or do any interviews, and we started to get those kinds of songs that would then lead us to Tapestry. Toni Stern, a writer for Screen Gems, collaborated with Carole earlier on the Monkees’ Head soundtrack, Carole’s City album, and her debut album Writer. I knew her a little bit. She was introduced to Carole by Bert Schneider of RayBert Productions, producers of the Monkees. I saw her when the songs were presented with Carole to me for Tapestry. Danny Kootch and Charlie Larkey were on the City album — they are the core of Tapestry. His bass was very important to the sound and feel of Tapestry. As music often does, it becomes the soundtrack of the particular time. 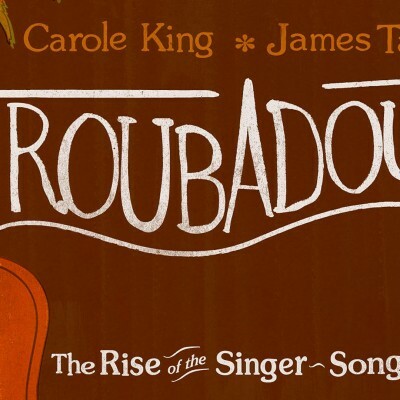 What I think happened late ’70, ’71 with James Taylor and Joni Mitchell and Carole, is that the listening public and the record-buying public bought into the honesty and the vulnerability of the singer-songwriter, naked in the sense — you know, what James was singing about, “Fire and Rain.” Their emotions that they were laying out there allowed the people to be okay with theirs. And I think the honesty of the records — there was a certain simplicity to the singer-songwriter’s record, because they either start with vocal-guitar or piano-voice. The pre-production period was fundamental to Tapestry. Over the decades you have cited the influence of jazz vocalist June Christy’s Something Cool L.P. with arranger Pete Rugolo. In selecting the songs, we had 14 songs that we were considering. One of which was “Out In The Cold” that didn’t make the initial album, which we later issued as a bonus track that’s on CD. Carole would play the songs, some that she had written, or was finishing, and some that she wrote during the album. Everything that we selected I obviously felt should be on the album, and we didn’t have that many songs that we were leaving out. The pre-production consisted of coming up to my office on the A&M Records lot. We eventually recorded all of those tracks in the A&M Studios, B and C. After Carole played all the songs, we would think about musicians that would fit. We had this little core group of musicians. The difference on the tracks really lies with the drummer. “Home Again” and “So Far Away” were Russ Kunkel, and on the more up-tempo ones were Joel O’Brien. Tell me about the initial playback of Tapestry. I recall walking out of the studio after a playback with Danny Kooch, and he said, “What do you think of this?” He misinterpreted I think when I replied, “It’s the musical equivalent of Love Story,” which was a number one movie at that time. And Kootch felt, “that’s a little soft.” What I meant was that it was an emotional album that was going to be very big and bring out emotions in people that no other record, at least until that time, had. What about the post-production after the recording aspect was completed. When I started sequencing Tapestry, I remembered and thought of the sequencing on June Christy’s Something Cool, the transition from song to song just kept you in the album. It was something that I tried to accomplish with Tapestry. I took the tapes home and I went through a lot of changes. I finally fixed the sequence and took a vacation to my house in Mexico that had a small cassette player, and that’s when I came up with the final sequencing. But I went through a lot of changes. John Phillips of The Mamas & The Papas influenced me a lot on sequencing — what the final chord on one song is to the first note on the next one, so it’s not a jarring music transition. Sequencing meant a lot in those days, the journey, or the experience or the adventure of listening to a new album and sitting down by yourself. Putting on that vinyl, for the story that it told, the sequencing was very important. I was sequencing for the person who was listening at home, alone. Each time, from vinyl to CD to downloads, somebody buys Tapestry again because they want to listen to Tapestry in the new mode. It just became personal to everyone who listened to it. There were enough songs in there for people to pick up this song and that song. “So Far Away” is my favorite song. At the time of the initial release we were still thinking AM radio as far as singles. FM radio still had an underground feel to it. The choice of “It’s Too Late” as a single came from (A&M co-owner) Jerry Moss. The difference between Tapestry and other albums I had been involved in was the word of mouth. On “It’s Too Late” Curtis Amy is on sax. He had played on the Doors’ “Touch Me,” but the distinctive flavor he added to Tapestry was his flute. He hadn’t played flute in a very long time and he was nervous about it ‘cause he had just been playing sax. I said, “We’re gonna use flute on this.” Curtis said, “Give me a couple of days to work on it.” Curtis and (wife) Merry Clayton were both fantastic and were a very important part of Tapestry. You also had a friendship with Carole that was 10 years old before Tapestry began. A: That came from working as her publisher at the West Coast office of Aldon Music. So that when she moved out here in 1968, I had known her since 1961. I was one of the people in California of a small group that she knew, so her coming to record with me was sort of natural. If she was going to record it was a person that she knew from the Aldon days. It was that sort of relationship. I was involved with her kids, somebody that was around her family and really cared about her daughters. I’m not anywhere near as close now to Carole as I was in those days. My feelings and my respect for her, certainly as an artist, continue, and I treasure the time that we had together. Harvey Kubernik is a Los Angeles native and a Southern California resident. Kubernik has been an active music journalist since 1972, a record producer since 1979, and a former West Coast Director of A&R for MCA Records. Kubernik wrote the liner notes for 2008’s Sony/BMG deluxe edition of Carole King’s Tapestry album. 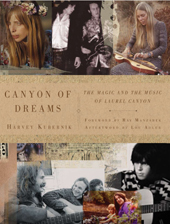 Harvey Kubernik’s latest book (among others), Canyon of Dreams: The Magic and the Music of Laurel Canyon, was published in October 2009 by Sterling Publishing.